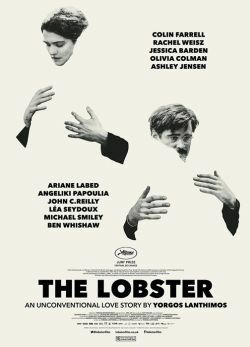 The Lobster tries to look at how we are as people – what it means to be single, alone, or involved with someone and all of the constraints that society puts on that. We tried to reflect upon these aspects of the human condition while portraying a very original love story. 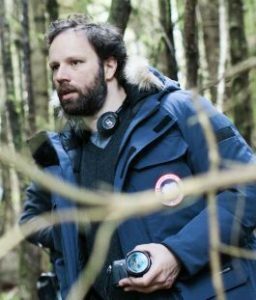 Yorgos Lanthimos (born 1973 in Athens) began his career directing dance videos, TV commercials, music videos, short films, and theatre plays. His first solo feature, the experimental Kinetta, won acclaim at various festivals. His second, Dogtooth, scored the prestigious Un Certain Regard prize at the 2009 Cannes Film Festival. Alps followed in 2011 and earned a best screenplay award at the Venice Film Festival. 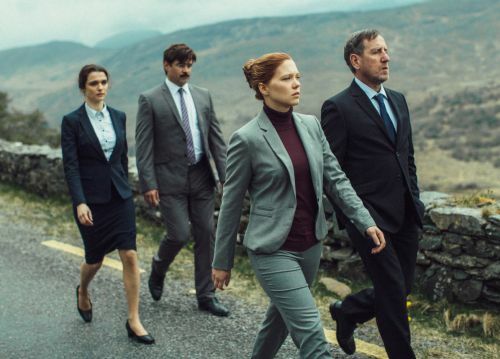 Recently Lanthimos moved to England to produce his biggest project yet, The Lobster. Starring Colin Farrell, Rachel Weisz, Lea Seydoux, and John C. Reilly, the film is a blend of absurdist drama and social critique about contemporary relationships. Lanthimos, an increasingly important voice in the genre of social satire, depicts a dystopia in which being single is illegal and those who aren’t coupled are forced to check into “the hotel,” where they’re supposed to be turned into animals. The film continues the director’s exploration of grim-comic futureworlds that riff on present-day alienations. The Lobster also represents some of the difficulties that an independent director faces while moving from small-scale projects to larger productions. In the following interview with the director, we discuss The Lobster and the challenges he faced in getting it made. 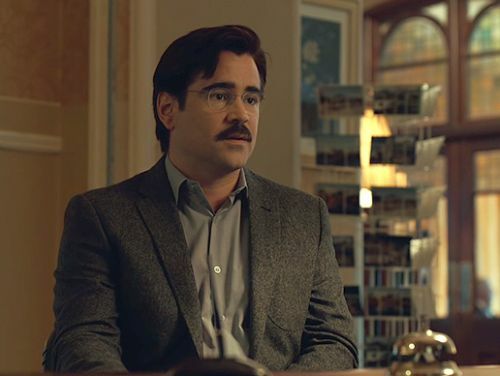 AMIR GANJAVIE: How did you conceive the plot of The Lobster? YORGOS LANTHIMOS: The idea came to me after a discussion with the screenwriter, Efthymis Filippou, about how it becomes necessary for people to always be in a relationship, and the negative stereotype that we have about those who are single. We as a society seem to downgrade those who are not in a relationship with someone. We also talked about the complicated process that people go through in order to be with someone, and we became interested in the trauma and fear that are involved in this process. We were very interested to see how people react to these situations in matters of love especially, as well as its relationship with solitude and companionship. The Lobster tries to look at how we are as people – what it means to be single, alone, or involved with someone and all of the constraints that society puts on that. We tried to reflect upon these aspects of the human condition while portraying a very original love story. It seems that in developing the script you had less interest in explaining the backstory. I don’t have much of an interest in backstory. I think that this world is very complete in itself and at the same time is very detached from any imaginable form of social structure. Of course, there are certain things in this world that we can find in the real world, but it is hard to draw parallels between them and what we have in the film. 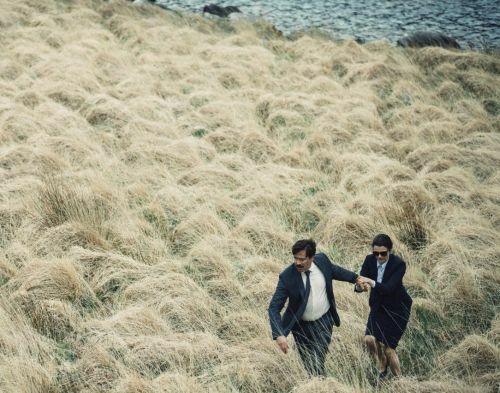 The Lobster depicts a world of uncertainty. It is pointless to think too much about this world because it doesn’t exist. The actors are supposed to follow their instinct and imagine how this could be. There is a combination of professional and amateur actors in the movie. How did you choose the actors? What method did you use to direct their performances? It was a pleasure that big actors like Colin Farrell, Rachel Weisz, and Lea Seydoux felt connected with the story. I was very fortunate that they, as well as other cast members, responded so strongly to the script. I tried to create an environment of trust with the cast on set, and I think they responded to that trust. I know their work, but I prefer to watch interviews that they’ve done, whatever I can find, before I meet them. That helps me to understand if their sensibilities are right for these characters. For instance, I understood that Colin had a great sense of humour when I watched him speak. I’ve seen him being funny. His presence has this quality where he can be charming even when he’s soft, easygoing, and sensitive. He’s a very complex person, and I thought that would be right for the film. David, played by Farrell, is the only one in the story who takes the audience through the three different worlds. We first meet him in the city, then we go with him to the hotel, then to the forest, and finally we return with him back to the city. Do you have any thoughts on his role in the movie? You can observe the universe of The Lobster through David’s eyes because he is immersed in the hotel. I think that he is kind of an amazing guy, and his behaviour is unpredictable. We think of him as a simple individual, but in reality his actions are quite sudden and provocative. In order to understand his world, you need to stay with David. You worked with natural light and without make-up. Can you tell me more about that? Yes, the production worked almost entirely with natural light and without make-up. There is no day or night, and everybody was getting sent back up to get their make-up removed. I could say that the only moment that we used lighting was during night. Is this really the first time that you have used music in your work? What made you interested in music this time? I don’t know where it came from. I mean, I really love music, and I always try to use music in my films, but I could never find a way that wouldn’t limit the resonance of the film. So in the past I always felt like when I used music, instead of opening the map it just narrowed things down and created a very specific feeling or very specific meaning about things. However, whenever I removed music from any given scene, I felt that it became more complex and more open to interpretation and there were many more possibilities. However, for some reason – and I don’t know exactly why – when we were writing this film I started thinking that it would work with music. Of course, I still tried to find a way of using the music that was maybe not the most conventional because I was trying to make it another layer, and that is usually quite contradictory to what’s going on in the scenes. For example, there are sometimes moments when the music is very dramatic and is juxtaposed with a very funny or awkward scene, or vice versa. Creating all of these different layers and combining them ultimately produces a different tone for the film. Actually, what we’ve done is use music not to describe what’s happening in a scene but to create a different tone for the entire scene. You let the actors use their own accents in The Lobster. What was the reason for this decision? Yeah, I just think it’s a contemporary world that we’re describing so you have people from all over the world, and I couldn’t find a reason to disguise the fact that they were coming from different backgrounds and different countries. I just didn’t see any reason to make their accents consistent and try to pass them off as being from the same place. That also represents the world of The Lobster, which defines a society where everybody is natural to whom they are as people. 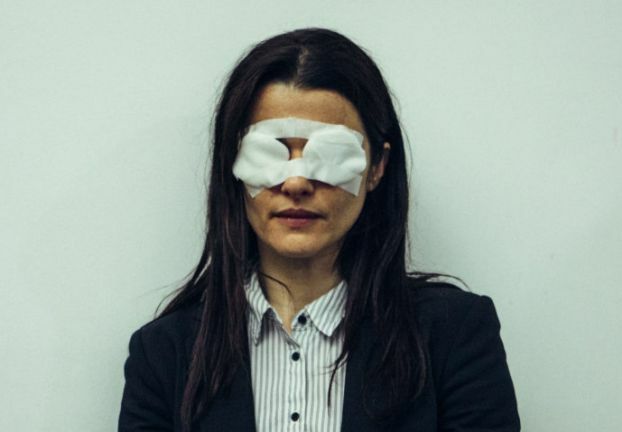 A couple of contemporary directors like Matthew Gareno and Paolo Sorrentino used international funds and big English and American stars for their recent movies. You’ve followed the same pattern, moving from low-budget projects to a big one. 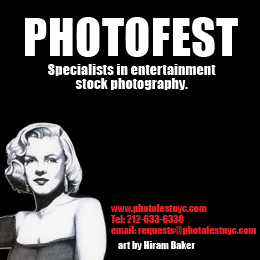 Since this is a much bigger project for you than your previous works, did it put pressure on your filmmaking process? I moved to London four years ago after having made three films in Greece, so I made that choice to move in order to be able to progress in my work and evolve by working with other people on a different scale. English language is something that provides me with the possibility of working with talent from around the world, which is great since this kind of film probably could not be made in Greece. Having said this, I think this is not really a big project compared to big production movies; it is bigger, of course, in comparison with my previous works. Here, we had a little bit of money for production and costumes. But in Greece I could work with my friends. They did not receive money for their work, but they put their passion into creating the movies, and usually what you get from such passion is bigger compared to what you received from money. So, as you said, this is a bigger project for you compared to your past works. Did this change your relationship with the audience? Certainly more people will watch it. This was not really a concern for me, and I only wanted to make a bigger movie because I had certain tools at my disposal with regard to talent and locations. There were no other issues involved. Did the increased budget impact the shooting process? Was it hard to find financial support for this type of project that describes a dystopian society? We tried to focus on the love relationship and its complexity in the contemporary world, which is a very universal and accessible theme that makes its financially appealing. On the other hand, we also used a multi-part European coproduction model which got us a little bit from different countries, and this was enough to produce the film. In both this film and your previous one, Dogtooth, you have created a dystopian society along with the clearly negative consequences of living in a totalitarian world. Thus, you have constantly criticized the notion of utopia or any attempt to create a better society than the one we have right now. 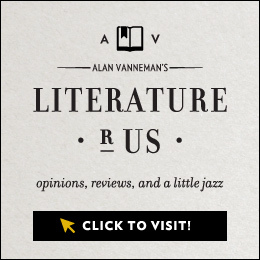 Why are you interested in the themes of dystopia and utopia? Well I’m not sure, you know. I don’t even see utopias and dystopias as very, very clearly different places. I think that dystopias sometimes really come from trying to create a kind of utopia, and so I find that these things are very much connected, and it is difficult to see the line between them. So that’s something that interests me. People might have the best intentions when they create these rules that we are supposed to follow in order to have a better society, but then where does that lead? It’s very complicated and raises all sorts of questions that hopefully we’re raising with our film. My film asks whether this is the best way of doing things or whether it is best for every person in the world to abide by what we think. The question of space is very important in both dystopia and utopia since society defines citizenship and what is good or bad through a spatial form and its representation in its institutions. Given this, the hotel and the city are crucial features of The Lobster. Interestingly, your future is not very futuristic; it’s very real and very contemporary. What was your source of inspiration for these two places? Yes, this is because my story doesn’t necessarily need to be set in the future; it could just be an alternate world, a world like we have now but with different rules. But when it comes to our choices of the locations for The Lobster I really think of the film a little bit as a prison drama since you’re looking at a place where this society incarcerates all of the people who have failed in their lives. The hotel seemed like a good place that is almost like a prison but which also has a positive and potentially pleasant side since it could nurture relationships and lead people to more positive outcomes, at least as defined by the leadership of that world. That’s where that location comes from, and while prisons are usually kind of remote and cut off from the rest of the world, in this case finding an idyllic location was important. The guidelines structuring the hotel are complex, inflexible, and lengthy. All of those imprisoned there must wear a particular uniform and follow a rigorous way of life. Everyone lives in fear of the dark and unpredictable repercussions if they aren’t able to conform and follow the guidelines. The scene in the forest really adds to that notion that we have this very beautiful old hotel but it is in fact a prison. And then the city was the result of us looking to create this very contemporary city that could be anywhere in the world and that you wouldn’t necessarily connect with one particular society. This way the film is able to resonate beyond any kind of local characteristics. The people in the hotel are those who don’t like to follow the rules, so they were sent there as a punishment. However, at the end we see the protagonists striving to return to the normality that their society defines. They want to be able to find love and engage in monogamous relationships. Don’t you see this as a contradiction in the plot? I think that I understand exactly what you mean. The people don’t go to the hotel because they don’t follow the rules – they might. Instead, someone who breaks up with his wife, like our hero, must go to the hotel in order to find someone – that’s the rule. And that’s exactly what they are exploring, that you have to follow certain rules. There are certain people who don’t think they have to follow the rules and that they would be better off free from that kind of system. Then you have the irony of this man rebelling against the rules and finding himself in a place where people think they’re free but ironically follow similar rules to the place that they are all trying to escape. That’s another thing that I’m interested in exploring, you know, the irony of trying to get away from something and then creating something that is very similar to that. We’re showing those contradictions because the world is full of such juxtapositions and conflicts between people and systems and ideologies and philosophies. The big question is how people discover where they actually belong and what is best for them and how to be truly free if you follow any of those things or construct any of those kinds of societies with those types of rules. The movie also says that in the hotel, people should fall in love with someone who is very similar to them. Are you here criticizing how relationships have been shaped in capitalist societies, especially through dating services? I just put it out there. It’s quite interesting and funny and absurd to observe, and in our case it enhances the absurdity of how this whole world is constructed. However, obviously to notice that in our lives – though maybe not such an extreme version of it – that’s definitely something that exists within our world as well. I feel that The Lobster has two parts, the second of which takes place in the woods and is very different in tone and form from the first part. You did not, for example, continue with the idea of becoming animals, and none of the funny stuff that we saw in the first part was repeated in the second. Some reviewers find the second part of the film to be less appealing. Do you have anything to say about this? Well, I think the two parts of the movie do have a different fabric, but at the same time I think we have a very particular tone and voice and that although there’s some variation in it, the film is quite consistent in that way. It’s funny and maybe gets darker as it progresses as well as more romantic since that side of the story is more dominant in the second part. So yes, it was meant to be structured the way it was. And will your future works continue the themes of dystopia and utopia? Not necessarily. For instance, I’m developing an English-language period film about the reign of Queen Anne of England as well as doing some other quite different things. All images copyright (c) Sony Pictures International. All rights reserved.